Imagine the place you feel the most warm, welcome, and cozy. A place that envelopes you in the sense of absolute comfort. The feeling of being loved and held. This is the essence of Mabon. Mabon. Autumn Equinox. A moment of balance when the light and dark are equal. 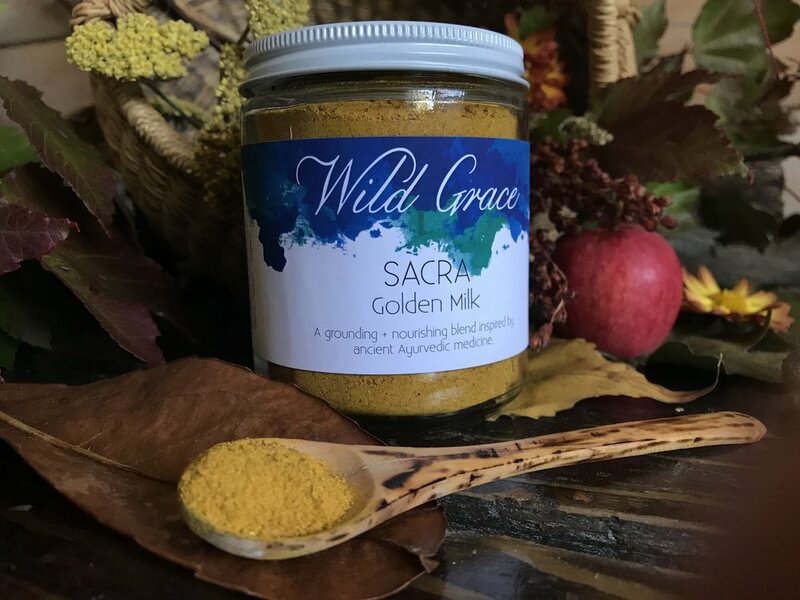 In the old days, Mabon was the Witches' Thanksgiving. Now, we still harvest the fields we've planted and lovingly tended all summer long, whether literally or metaphorically. For some of us, it still represents this celebration of togetherness, of joy, of gratitude, and of abundance. 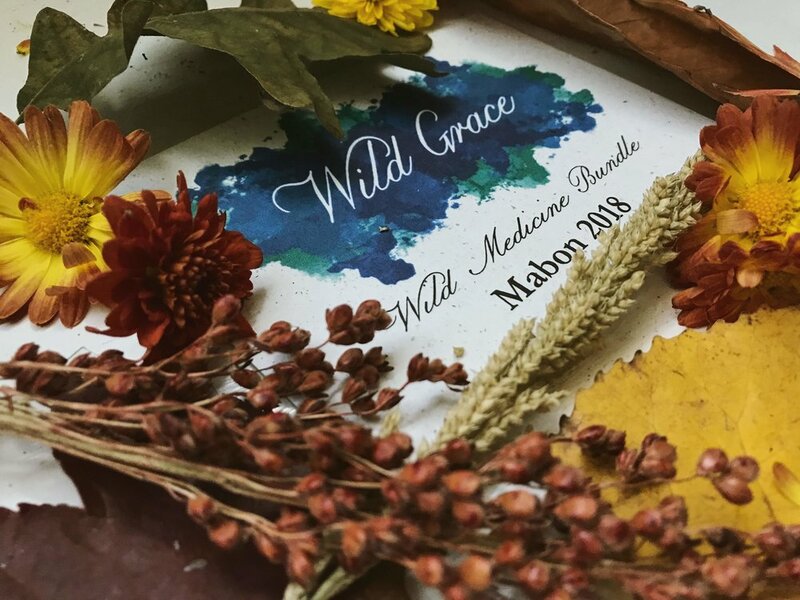 The Mabon Wild Medicine Bundle is a collection of gold and autumnal spice. 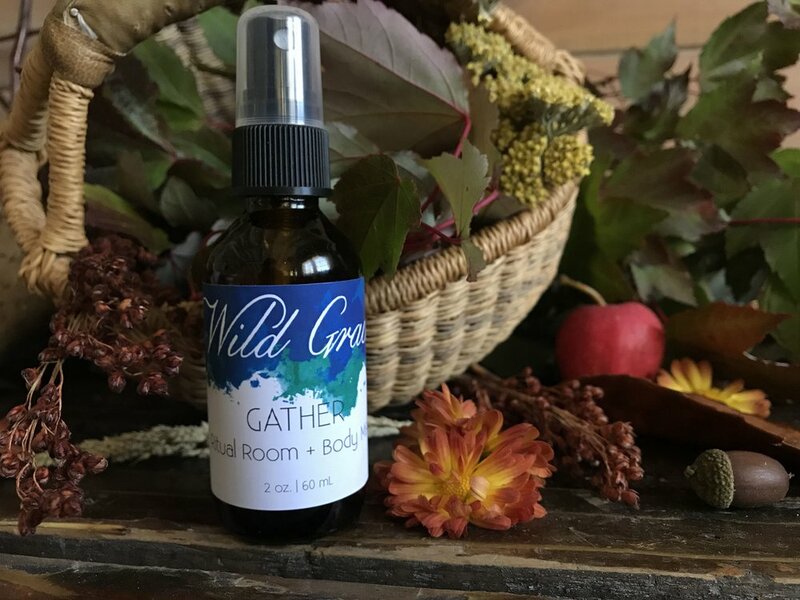 It smells like Cinnamon, Ginger, Holy Basil, and a touch of Cardamom. It feels like gathering with your favorite people over a delicious meal. Like curling up in a big cozy chair with a mug of your favorite tea and a book you can get lost in.